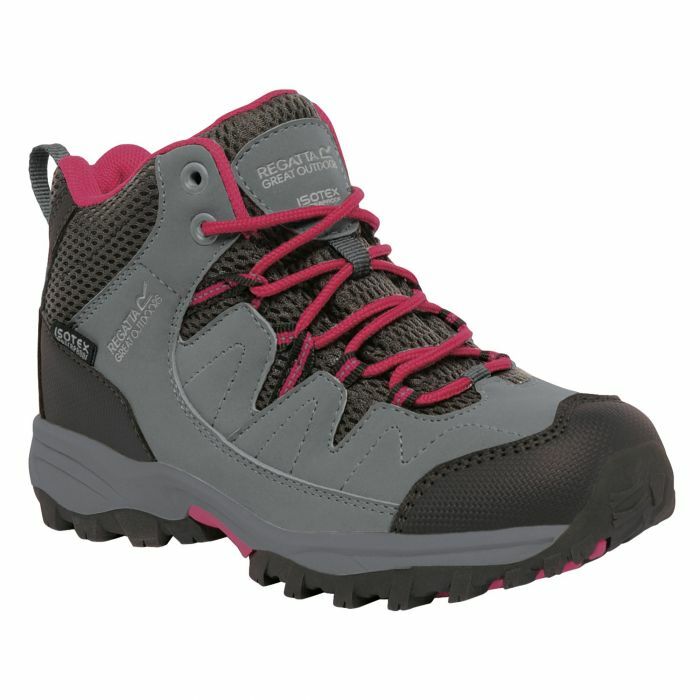 Mid height and weather resistant, this popular kids' walking boot provides out-of-the-box comfort and protection. Split mesh uppers with water-shedding technology Hydropel technology and a waterproof/breathable ISOTEX membrane keep feet dry inside and out. Rubberised toe and heel bumpers and the EVA comfort footbed absorb knocks and bumps. The sturdy rubber outsole provides reliable grip on loose paths and muddy banks. Weighs 300 grams.